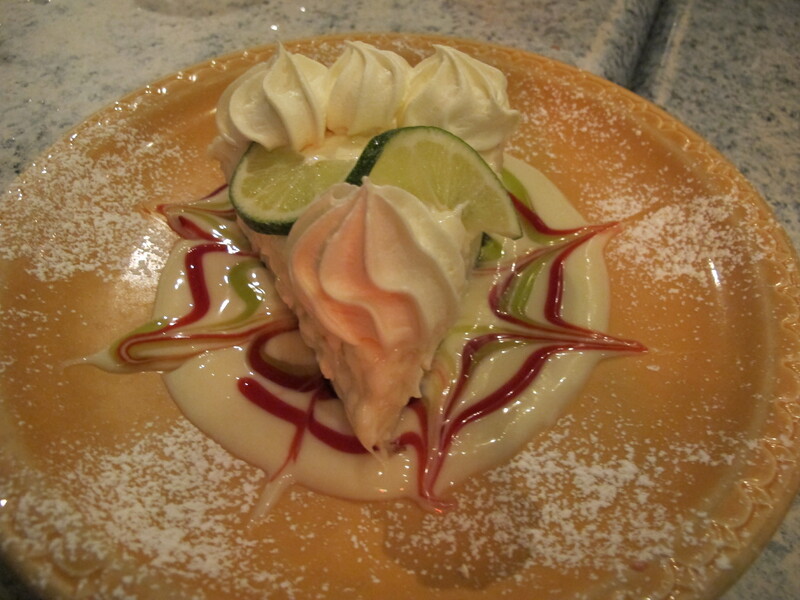 Well really, it would be embarrassing if this place didn’t win best key lime pie, right? 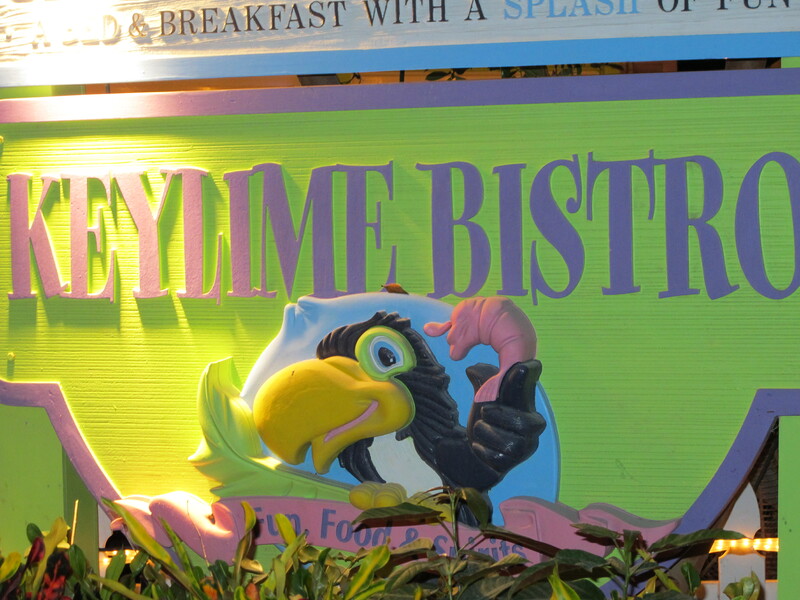 Key Lime Bistro touts their pie as “award-winning” and claims it has been featured in Bon Appetit. And it is certainly photogenic. The flavor was excellent, though I could have used just a touch more acid. The texture, though probably not as authentic as Doc Ford’s, was my favorite- it was thicker than most, almost cheesecake-like in consistency. The crust was very good, and the extras were perfect. Great fresh whipped cream, and the sauces on the bottom of the plate added the acid that was slightly lacking in the filling. While it was a tough call between Key Lime Bistro and Doc Ford’s, I’ve got to give it to the Bistro. And now, my belly distended from condensed milk, I am thoroughly sick of writing about, talking about, thinking about, and eating about key lime pie. Until next year, KLP.